Does your vehicle need a windshield replacement? SeeCured Auto Glass proudly serves the Lehigh Valley and provides top-notch windshield replacement services. We come to you and efficiently replace your windshield promptly. We offer windshield replacement in Allentown, Bethlehem, Easton, and the Greater Lehigh Valley Area. Our mission is to provide our customers with top-notch service, trust, and honesty accompanied by years of experience. We use the highest quality of care and materials to replace your automobiles’ windshield, back glass, or door glass. Our professional team of auto glass experts can replace glass for all types of vehicles including cars, trucks, vans, SUVs and any other vehicle that may use auto glass. At SeeCured Auto Glass, we're committed to assisting the Greater Lehigh Valley with all windshield replacement needs. Our trained professionals have years of experience in replacing windshields on all makes and models. SeeCured Auto Glass distinguishes itself by paying attention to detail and a strong focus on affordability and customer satisfaction. If your windshield damage is more severe than a minor chip or crack, or if the crack is in the driver’s line of vision, it might be best to have your windshield replaced. Our team will guide you through the process of a replacement and provide options for you. We’re committed to delivering quality windshield replacement and windshield repairs in the Greater Lehigh Valley to serve our customers with excellence and value. 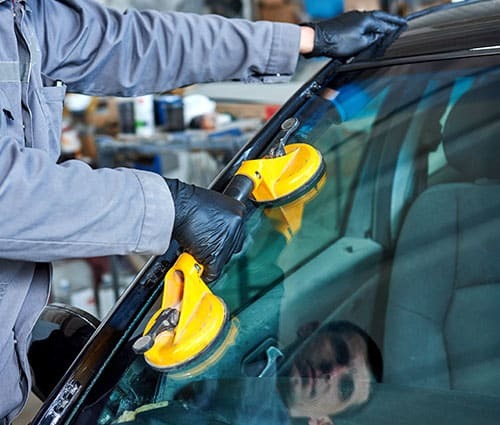 Our auto glass technicians are highly skilled and have years of experience. Most importantly, they love cars and care about yours. Get to know our experienced windshield repair technicians. They’ve got tools, skills, and a desire to help. Your safety is important, and at SeeCured Auto Glass, we go above and beyond to ensure the windshield replacement is handled with care. Contact us for a quote and see why no auto glass shop is as quick, qualified, or convenient as we are.